Happy first day of spring! As the weather starts to warm up, it’s time to spring into wellness. 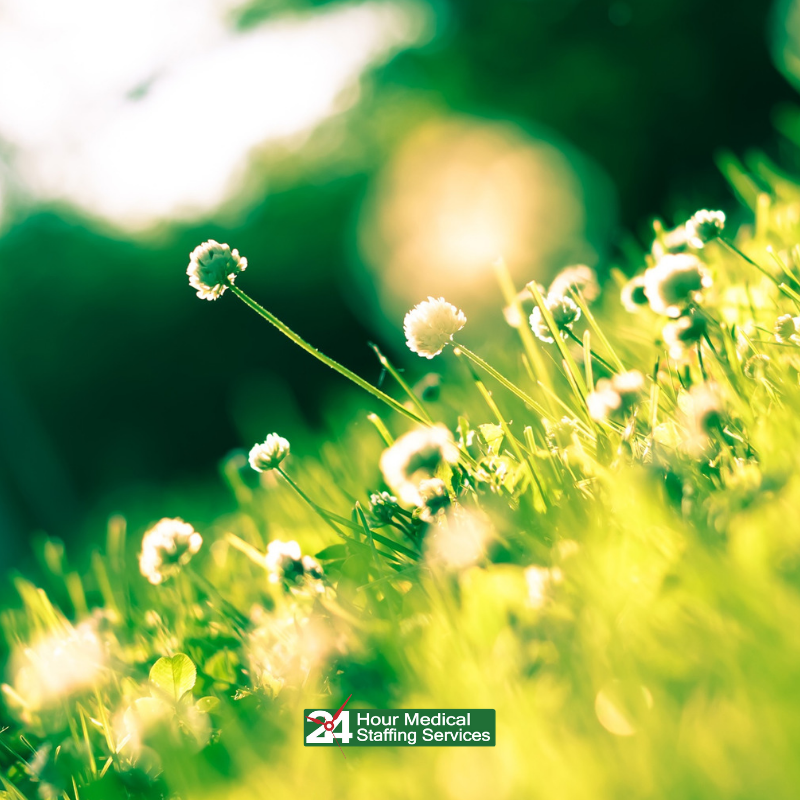 Allergies are very common during springtime, which typically begins in March. Symptoms includes sneezing, a stuffy nose, itchy nose, eyes, or throat, watery eyes, and nasal congestion. ● Do not use window fans. Instead, use air conditioner. ● Keep home doors and windows closed to keep pollen out, especially when pollen levels are highest. Check an online pollen tracker to know when pollen counts are high. ● Keep allergy eye drops and/or allergy medication on hand. ● Eat foods rich with vitamin C and folic acid to help fight allergies. Fruits with high vitamin C includes Oranges, grapefruit, cantaloupe, kiwi fruit, papaya, pineapple, strawberries, blueberries, and watermelon. Food that are high in folic acid includes leafy green vegetables, beans, breads, cereal, rice, and pasta. ● Wash clothes and bedding often. Also, remember to replace any air filters and wipe surfaces that collects a lot of dust mites such as ceiling fan blades. ● Declutter your home by getting rid of things that don’t need. Refer a healthcare professional, and you can earn between $50 to $500! Click here for more information.